For the last week I've been working on a painting for ImagineFx's monthly contest, this month themed "fairy tales". (Entries close on the 30th where finished pieces will then be voted on and can be found here on ImagineFx's forums.) 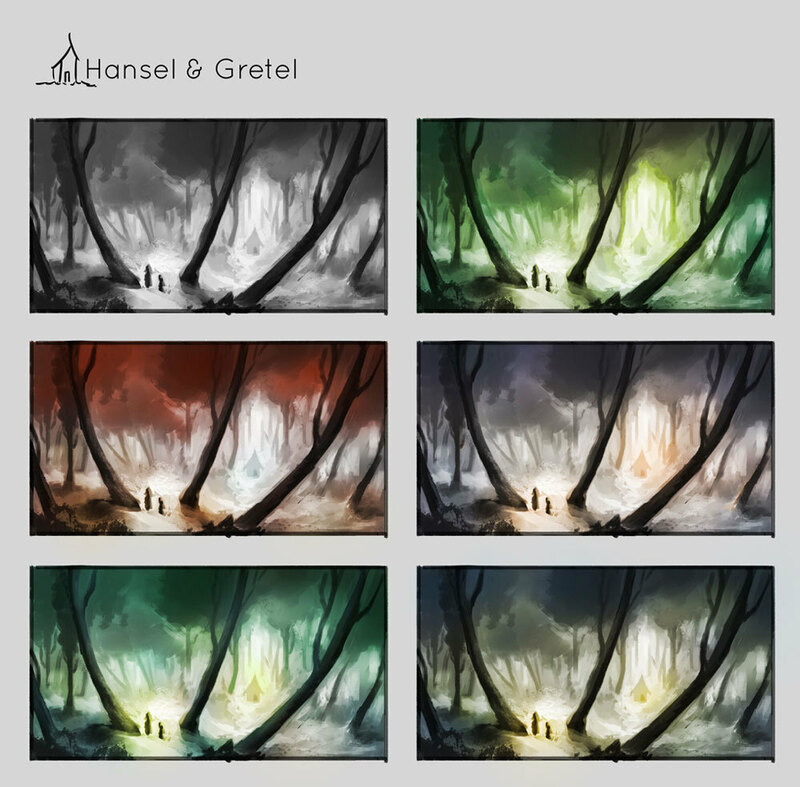 With your help via Facebook I have a nice list of stories to pick from and ended up deciding on Hansel & Gretel. I picked their tale because it was very recognizable once simplified into a single painted scene and didn't require an explanation with it. Using your suggestions as topics I see this piece as a starting point for more fairy tale paintings. 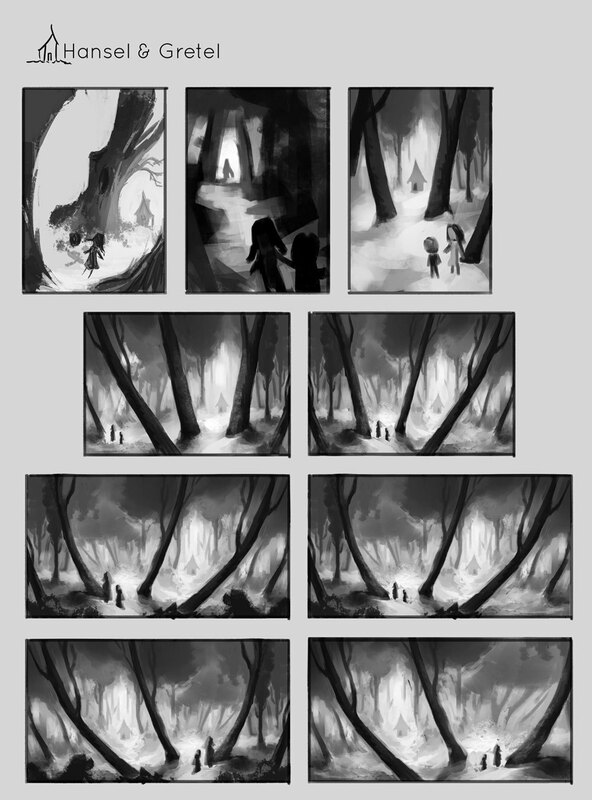 As always I started off with some messy thumbnails. I'm finding that I'm not so afraid to make bad art when they're small and very little time has been invested in them. I just think with the brush initially and work out the details down the road.